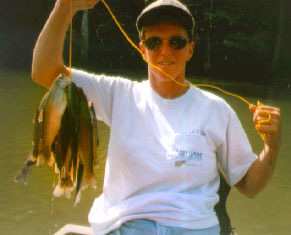 These are Rainbow Trout caught in Mountain Fork River, below Broken Bow Lake in south eastern Oklahoma. This is beautiful Beavers Bend state park with every thing one would want. They have dammed the river in at least 3 places, which gives one some deep holes to fish. 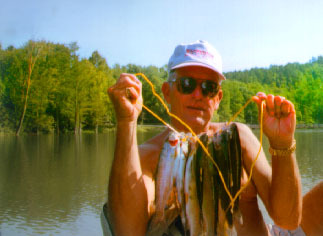 The limit on trout is 10 per day with 20 in possession. The average size is about 1 lb.. They stock the river every 2 weeks with about 3500 fish this size, all year long. It is a great family place with swimming, horses, train ride, canoeing,, and a bunch more stuff, if you are going call me , we'll meet you there.